We've talked about favorite cookbooks before, but it's been awhile. 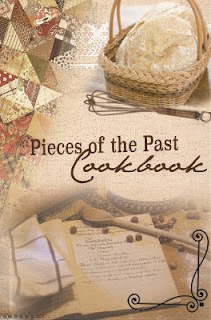 I was recently asked to review this one - Pieces of the Past Cookbook, and can tell you without all the usual reviewers' disclaimers that this is now my new favorite cookbook. 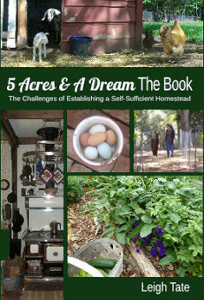 It is a collection of recipes compiled by the members of Homestead Community Post, an online community whose goal is to learn more about living off the land. A quick glance at the table of contents reveals a well-rounded collection of recipes: Appetizers & Snacks, Breakfast Foods, Soups & Salads, Vegetables & Side Dishes, Meats And Main Dishes, Breads, Desserts, Beverages, Condiments Sauces And Dressings, Food Preservation, Homemade Mixes And Commercial Substitutes, Home Care On The Homestead, and Health And Beauty. That's over 400 pages of a wide range of recipes, enough to delight the heart of any recipe collector, especially recipes like buttermilk syrup, Instant Oatmeal Packets, homemade pop tarts, chokecherry syrup, Ezekiel 4:9 (sprouted grain) bread, crock pot baked custard, cream cheese chicken with broccoli, beef bologna, citrus vinegar cleaner, and borax-free dishwasher detergent. 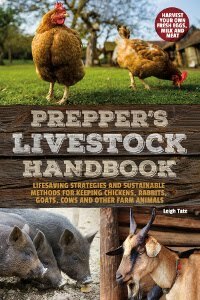 What I really appreciate about this cookbook, is that it includes the kind of information that homesteaders and do-it-yourselfers are looking for: how to make nut butters (with tips for specific kinds of nuts), cheese making, candle making, a soaking and sprouting chart, slow cooker basics, soaking and cooking dried beans, gluten-free eating, a thorough list of gluten-free flours, grains, and meals plus their best uses, and more. It also includes wonderfully unusual recipes such as canned sausage, canned milk, wheat-free chickpea pasta, ghee (clarified butter), deodorant, toothpaste, chocolate body scrub, and homemade sunscreen. "Pumpkin or Squash Soup" (I used cushaw) page 66. Three formats are available: a Kindle version at Amazon (where you can "Look inside"), PDF, or paperback. Click here for information on all three versions plus how to order. Prices are reasonable. Pam, I thought about you when I first starting reading this book. It's not a gluten-free cookbook, but it does the best job of addressing gluten-free eating and alternatives that I've ever seen. I want a bowl of that granola . . . now! Do I need another cook book? Gosh, no. Do I want a copy of this one? Yep. Well we aren't always gluten free, I try to keep it mixed up a bit, but it's great that the author included GF! I just think it's great how complete she seems to have everything in one spot! The granola is the best I've ever eaten. Dan usually thinks granola is too heavy, but he really likes this one. The recipe is a keeper. Nancy, that's actually a very good idea. Libraries are usually responsive to patrons' requests, and it's a good way to get a hands-on look at a book. Great review! Might have to add this to my personal library!